In These Times posted an article on December 29, 2017, that asked this question: "Can The Community Rights Movement Fix Capitalism?" 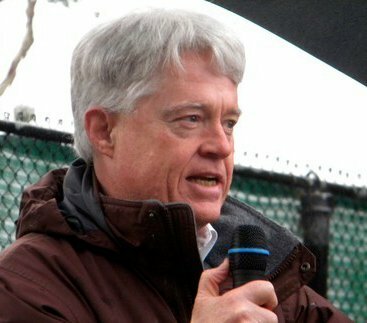 The article was written by Thomas Linzey, a prime mover and shaker in the Community Rights US organization, and the executive director and co-founder of the Community Environmental Legal Defense Fund (CELDF). As might be expected, Linzey is holding out high hopes! In 1999, CELDF made a dramatic turn in its public interest environmental law work when it stopped being involved with more conventional single-issue one-corporate-harm-at-a-time legal defense work through the regulatory arena of law, and instead began to help rural communities to write paradigm-shifting laws that banned (rather than regulated) harmful corporate activities, and challenged for the first time the legitimacy of corporations exercising constitutional so-called “rights”. It was at this point that the movement took on the name Community Rights, a name that has since stuck. It all began in the conservative family farming community of Wells Township, Pennsylvania, when the local farmers rose up to stop a massive farm factory of hogs from being built in their township. Their township supervisors unanimously passed an anti-corporate-farming ordinance that directly challenged three structures of law that the farmers considered to be illegitimate – corporate constitutional “rights”, state preemption, and Dillon’s Rule. From there, the movement took off across rural Pennsylvania, rural Maine, and beyond. Fast forward to the present, and there are now more than 200 communities and counties in nine states that have successfully passed Community Rights ordinances. And so far, only about 5% of these places have had their local ordinances legally challenged. The "community rights" idea is not some new or innovative experiment. In essence, it is good old American "democracy." We are all individuals, of course, but we are not only individuals. We are also members of a community, and "politics," leading to the enactment of "laws," is the way we "govern" what happens in the communities in which we live. Our communities have "rights," just the way individuals do. What is the basic "right" that communities have? The right of "self-government." We have the right, through our local lawmaking, to decide what will happen, or what will not be allowed to happen, in our local communities. In Santa Cruz County, in 1978, the people voted on Measure J, enacting a growth management system that said, among other things, that commercially viable agricultural land located in Santa Cruz County could be used only for agriculture. As far as I am aware, no other local community has ever taken that step. It was an important step, too, and has largely shaped the development (or, rather, non-development) of Santa Cruz County since that time. The people of Santa Cruz County had the "right" to do that. So, here, and in every local community around this country, it's time to look around for what's next!